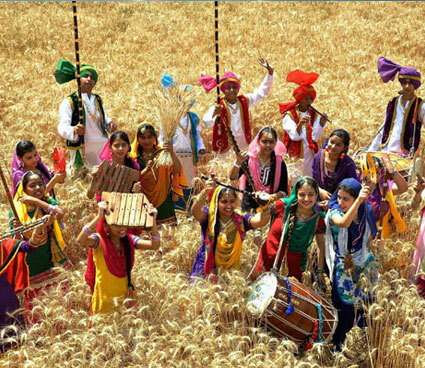 People celebrate Baisakhi all over Punjab by going to Gurudwaras and distributing Kada Prasad among family members, friends and relatives. Religious processions led by the Panj Piaras or the five religious men are taken out in various cities and provinces. Traditional songs, kirtans and recitations of holy passages from the Guru Granth Sahib are made in Gurudwaras. The ritual of Kar Sewa is also performed. Kar sewa is the process of offering physical labor to assist in the everyday jobs of the Gurudwara. It is a traditional symbol of modesty for the Sikh community.